Establishing an unlikely linkage between a major US corporation and local smallholder farming communities, the “for profit” model for sustainable agroforestry and community development created by NGO Smallholder Farmers Alliance (SFA) is proving to be a “landmark” innovation in the creation of public-private sustainable development partnerships. With strong, persistent support from Timberland, SFA and Haitian smallholder farming communities are achieving extraordinary things – reversing the course of rampant deforestation and helping protect and conserve and enhance vital land and freshwater resources while at the same time enriching and empower smallholder farming communities in northern Haiti by reviving and updating “Kombit” – the traditional native conception of the farmer’s cooperative. When it comes to “Kombit” and the SFA-Timberland partnership, the whole is proving much greater than the sum of its parts. In addition to planting more than 5 million trees, revitalizing and empowering smallholder farming communities, SFA and Timberland’s pioneering “for profit” model for sustainable agroforestry and community development has invoked widespread acclaim and garnered international recognition, as well sparking new, yet more ambitious initiatives. Key agricultural producers, there are some 2.5 billion smallholder farmers worldwide. Collectively, they produce nearly 70 percent of all the food consumed worldwide, SFA and Timberland highlight in “Kombit,” a 45-minute documentary that tells the story of how their pioneering sustainable agroforestry development partnership wound up Haiti’s traditional version of the local agriculture cooperative. Buffeted and often overwhelmed, if not neglected outright, by larger national and international private and public sector agents, these smallholder farming families and communities continue to eke out a basic, subsistence-level existence. 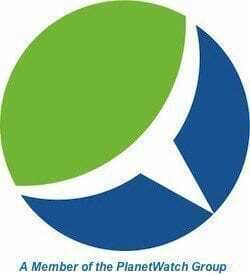 In sum, they have impoverished smallholder farmers, families and communities, as well as the fundamental natural resources and ecosystems upon which agriculture, economy, and society ultimately rely on for their vitality and existence. Deforestation has been a root cause of natural resources and ecosystems degradation, as well as human-induced climate change, around the world for literally thousands of years. Within the Caribbean region, it’s highest in Haiti. 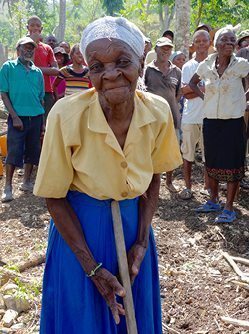 Founded by Hugh Locke and Timote Georges, SFA set out to stem and reverse the deforestation tide by engaging smallholder farming communities in northern Haiti to join their effort to plant 5 million trees in return for funds and other sustainable agroforestry development support and assistance. Revising and reformulating their strategy and model based on input from the resulting local, community-driven “feedback” loop, SFA struck upon and developed what has evolved into a landmark model of “for profit,” community-driven agroforestry development. Having achieved that ambitious goal and much more, SFA and Timberland have expanded on the new conception of Kombit and taken their innovative, community-driven “for profit” model for sustainable agriculture development on the road. Hurricane Matthew’s October landfall in Haiti set their efforts, and the achievements of local communities back, but the damages wrought hasn’t snuffed out their efforts completely. Visiting four nurseries in development as part of a joint SFA-Project Medishare program in southwestern Haitian communities, Locke and Georges found community members hard at work restoring what had been destroyed or damaged by the hurricane. SFA and Project Medishare created the program to assist smallholder farms in the area recover from the effects of Hurricane Matthew. It entails adopting 1,200 smallholder family farms and helping the families that own and run them get back on their feet and back on track after they lost between 75 and 100 percent of their crops during the hurricane. As Locke explains, the SFA model is based on gaining farmers trust and confidence while gaining their participation in building and managing nurseries. They then transplant and care for mature trees on their agricultural lands. By growing trees, they earn the seeds, tools, and training. 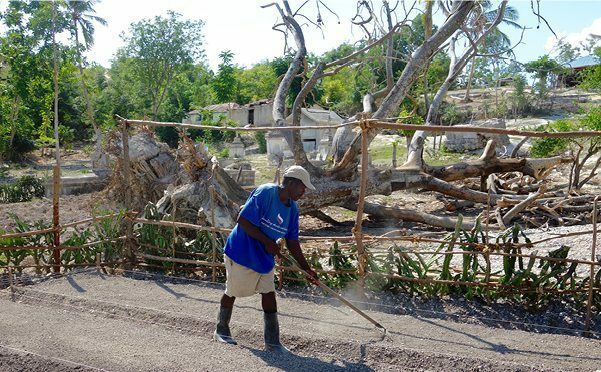 SFA expects that a total of eight nurseries will soon be established as part of the hurricane recovery program in southwest Haiti. Harvesting of the first crop of some 40,000 trees – coconut, papaya, orange, mango, breadfruit, coffee, cacao, cedrela (for timber), moringa, and avocado number among them, holding out the promise of a sustainable agricultural bounty. SFA and Timberland have taken the fruits of their Haiti smallholder community farming partnership international. In January, the two organizations joined to represent Haiti in an international forum convened in Paraguay that aims to assess the feasibility and field proposals identifying potentially viable ways of reintroducing smallholder farm cotton production throughout the Latin America and Caribbean region.